dibba rotti or minapa rotti is a popular snack from andhra cuisine. crusty, crispy from outside with soft texture from inside. 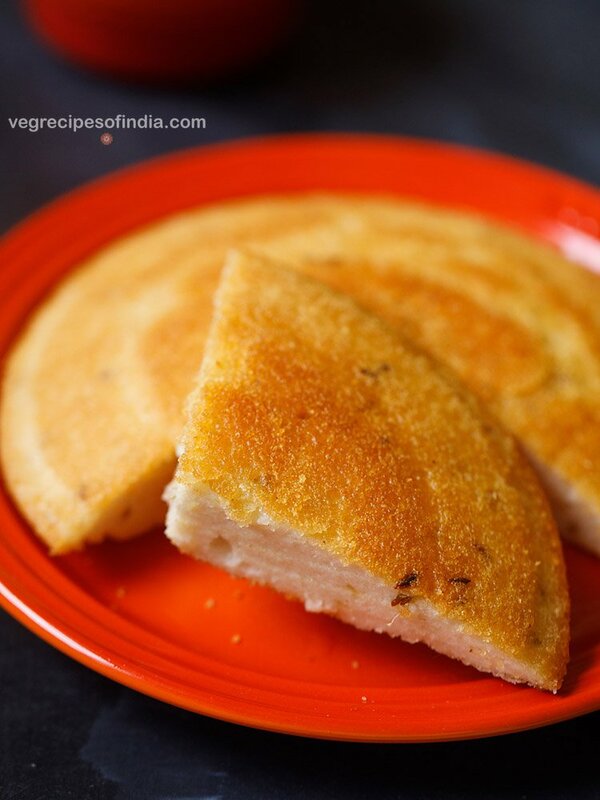 dibba rotti is made from urad dal batter and rice rava or idli rava. no fermentation is required to make dibba rotti. dibba rotti with step by step pics. dibba rotti is a popular snack made in many homes in andhra pradesh. 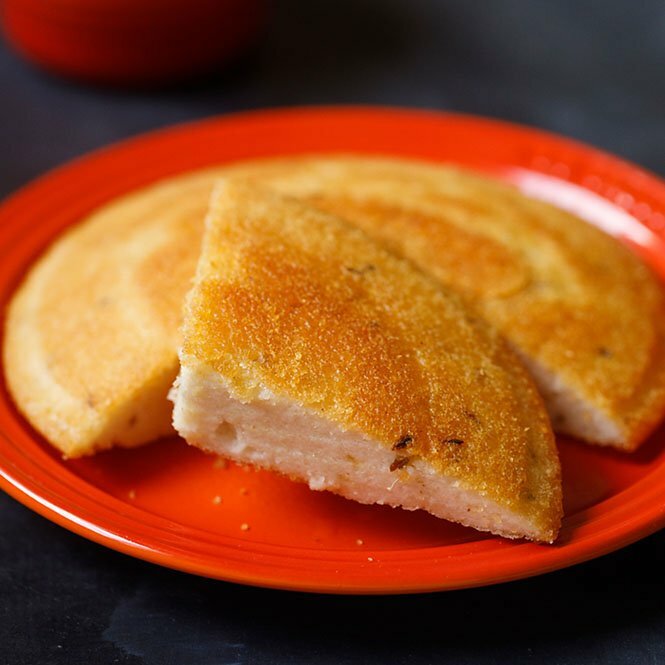 dibba rotti is also called as minapa rotti and is served as a breakfast snack. though dibba rotti can be also served as a brunch or an evening snack. i sometimes make dibba rotti for evening snack and serve with coconut chutney or ginger chutney or tomato onion chutney or avakaya pickle. what does dibba rotti mean ? 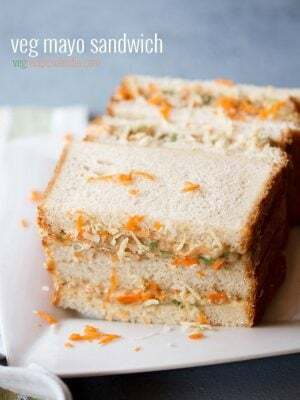 in telugu language the word ‘dibba’ means plump or fat or stout and ‘rotti’ means bread. thus literally dibba rotti means a bread which is plump, fat or stout. though it means a thick fat bread but the texture and taste is nowhere like a bread. it is more like a crisp, thick and spiced idli which we all like at home. 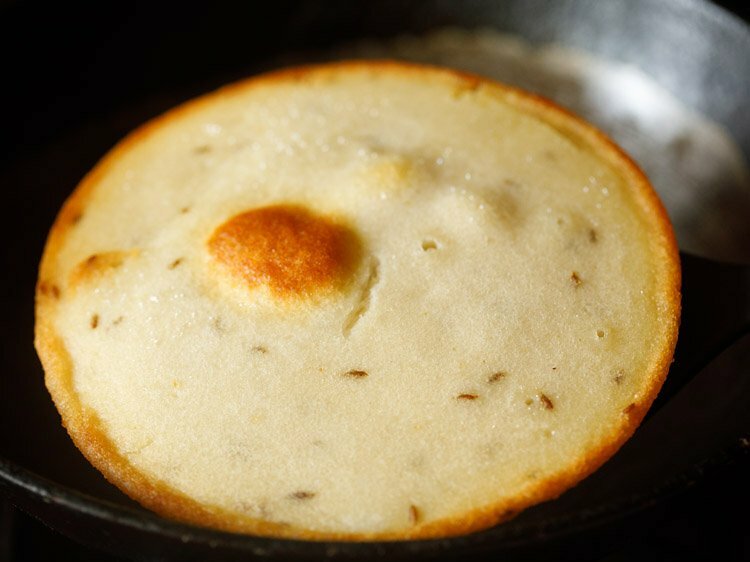 you can even say that dibba rotti is a combination of soft idli and crispy dosa. how is dibba rotti made ? dibba rotti is primarily made from urad dal (husked split black gram) and rice.the rice is in the form of rava which is nothing but rice ground to fine granules. 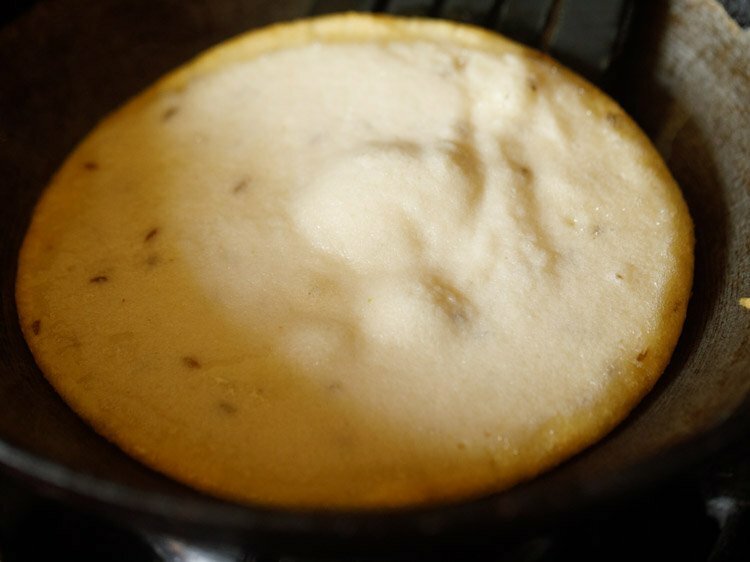 urad dal is ground first and the batter is mixed with soaked rice rava. some spices and herbs are added to this batter. a heavy shallow kadai is used to make dibba rotti. you can even use a shallow frying pan. oil is spread on the kadai and then the batter is added. which is then slow cooked to a perfect crispy golden exterior. later to be served with some onion chutney, ginger chutney or coconut chutney. what about the taste and texture of dibba rotti? dibba rotti batter is slow cooked on a low flame which makes the exterior crispy and golden. the inside texture is soft and similar to the texture of idli. dibba rotti is cut in wedges and served. so you get to taste the outside crusty exterior and the soft fluffy texture inside. 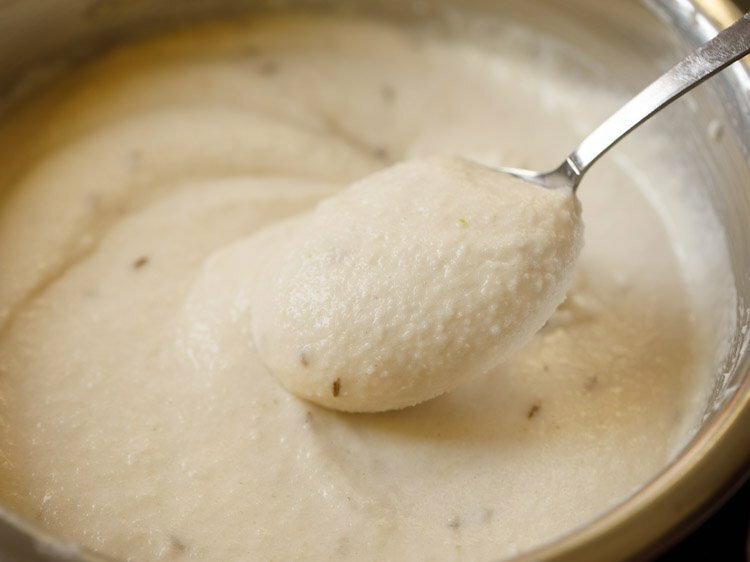 the taste is not like that of idli as there is no sourness in the batter (since the batter is not fermented), but similar to a rava idli made without spices. the crisp texture also adds to the taste. overall the texture and taste of dibba rotti is too good and you will keep asking for more. for the rice rava, you can use fine rice rava or even idli rava. i make dibba rotti with idli rava mostly as i always have it in my kitchen. the best part of making dibba rotti is that no fermentation is required. you just need to soak urad dal and rice rava. then grind only the urad dal to make a soft fluffy batter. mix soaked rice rava with urad dal batter. then proceed in making dibba rotti. 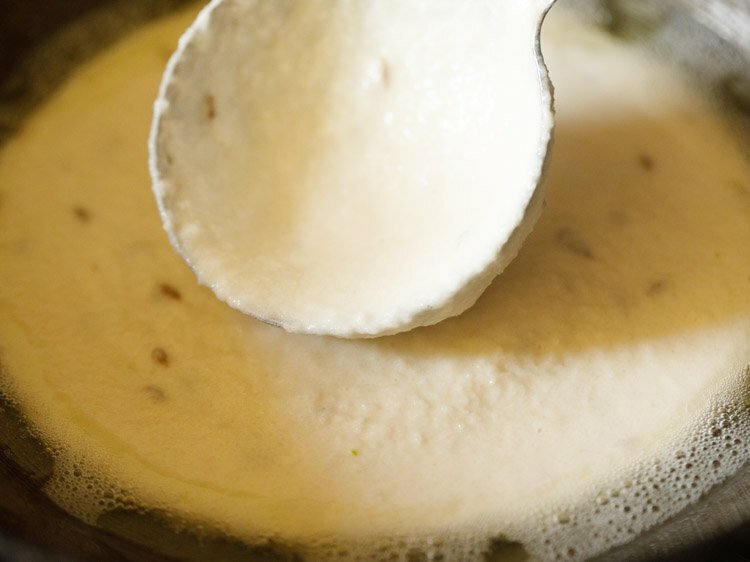 traditionally dibba rotti batter is not fermented. though if you want, you can keep the batter for 2 to 3 hours after grinding. the key spice that you should not forget to add in dibba rotti is cumin seeds (jeera) as they help in digestion. apart from cumin seeds, you can make many variations by adding spices & herbs like green chillies, ginger, curry leaves, asafoetida (hing), coriander leaves, crushed black pepper and onions. using the same cooking method, you can even use idli batter and make dibba rotti or minapa rotti. 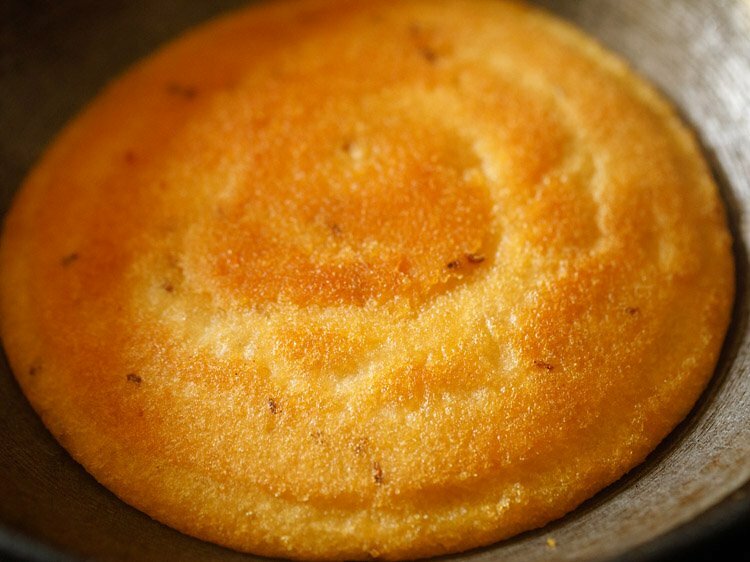 since i make dibba rotti occasionally, i am sharing this recipe which will give you a nice crispy & crusty golden exterior on top and a soft texture inside similar to that of idli. rinse urad dal a couple of times in water. drain all the water and then soak urad dal in a bowl with 1 cup water for 3 to 4 hours. take rice rava or idli rava in a large bowl. we will first rinse the rava. add water till it floats a few centimetres on top of the rava layer. gently mix the rava with water. let this mixture rest for some seconds. gently discard the water from the top. do this method once or twice. then add 1.5 cups water for soaking rice rava for 3 to 4 hours. 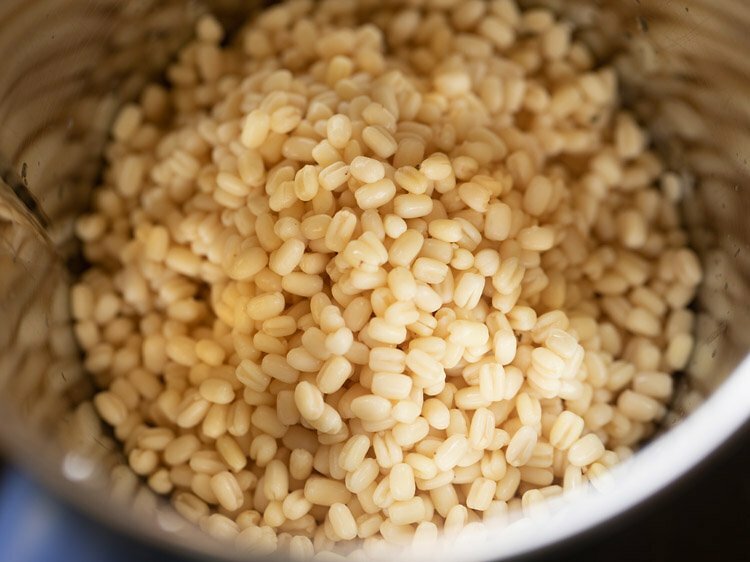 note: if you do not have rice rava, then soak ¾ cup rice in water for 3 to 4 hours. Drain all water. spread rice on a plate or tray for about an hour. 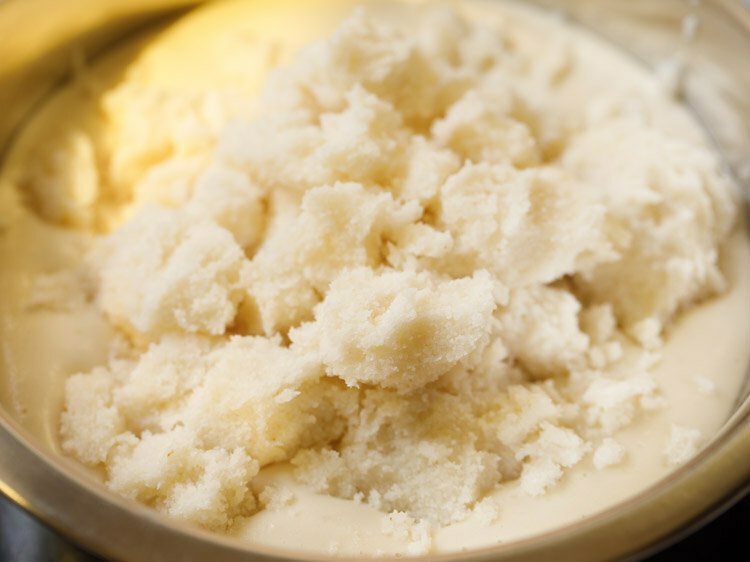 then grind to a semi-fine texture of that of rice rava or idli rava. later drain all the water from urad dal and add in a wet-grinder jar. add ½ teaspoon chopped ginger and 1 green chilli (chopped). add ½ cup water in parts and grind to a smooth fluffy batter. i added ½ cup water for grinding urad dal but depending on the quality of urad dal, you will need less or more water. 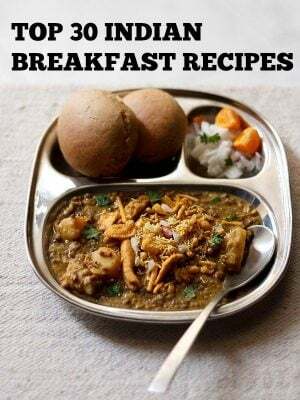 take the entire urad dal batter in a large bowl or pan. keep aside. take some portion of the rice rava mixture in your palms. press tightly and squeeze all the water from the idli rava. let the water get squeezed in the same bowl. do make sure that you squeeze the rice rava or idli rava very well. add this squeezed portion of idli rava in the urad dal batter. 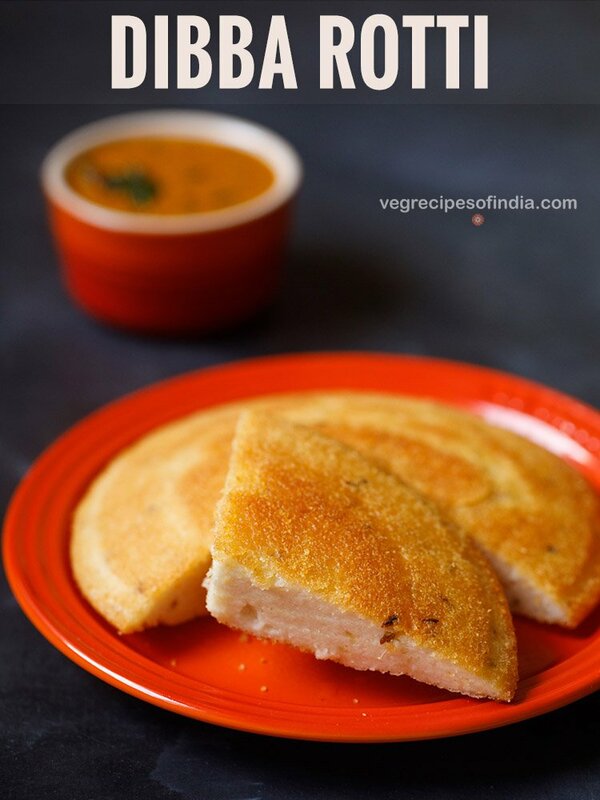 repeat the above step and this way add the entire squeezed idli rava to the urad dal batter. add 1 teaspoon cumin seeds and ½ teaspoon salt or add as required. the batter consistency is like that of idli batter. in case the batter looks thin, then add some more rice rava which has been soaked in water and later squeezed of all the water. take a heavy and thick bottomed kadai or frying pan. add 2 tablespoons peanut oil in the kadai. then spread the oil on the sides of kadai by tilting the kadai or with a spoon. let the oil become hot, but not sizzling hot. do use a heavy iron kadai or a heavy pan with a solid base or else the dibba rotti can get burnt. 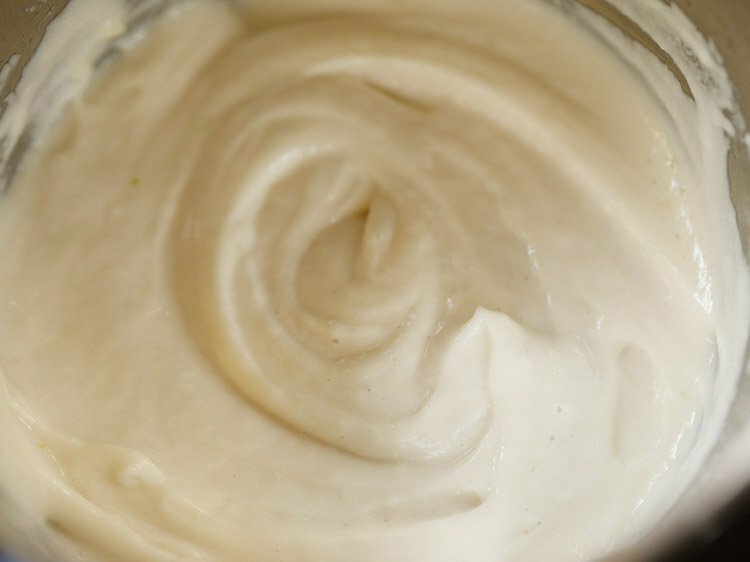 peanut oil gives a good taste but you can use any other neutral flavored oil. once the oil becomes hot, reduce the flame to its lowest. add 3 large ladles of the dibba rotti batter. gently spread and even out the batter from the top with the back of a spoon. cover the layer of dibba rotti. cook on a low flame. 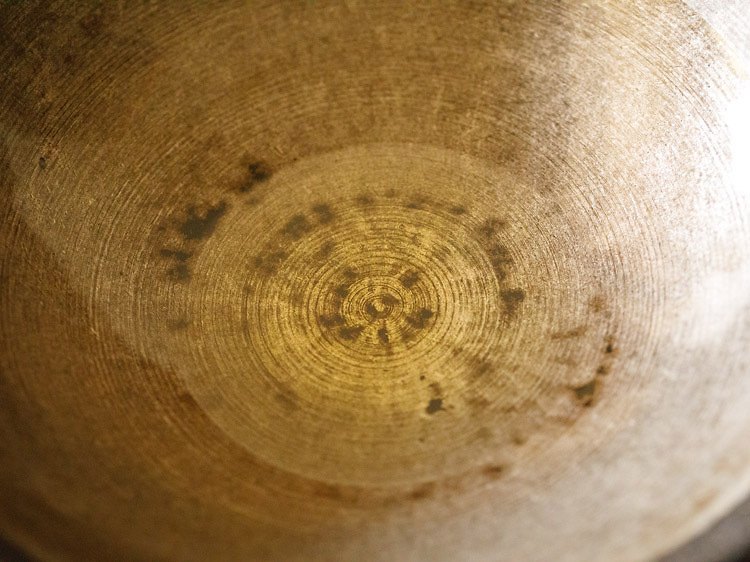 cook till the base of the dibba rotti is crisp and golden. you can make this out by checking the edges from top. the edges will have a golden color. then turn over the half-cooked dibba rotti gently with a spatula. in case the base has not become golden & crispy, then continue to cover and cook till it becomes golden. now cook the second side. drizzle 1 to 2 teaspoons peanut oil on the sides. while cooking the second side, do not cover and cook. cook till the second side is cooked properly and you see some golden spots. to check you can insert a toothpick or a fork or knife and they should not have any sticky or uncooked batter on them. similar way make dibba rotti from the remaining batter. every time you make dibba rotti, add 1 to 2 tablespoons oil. 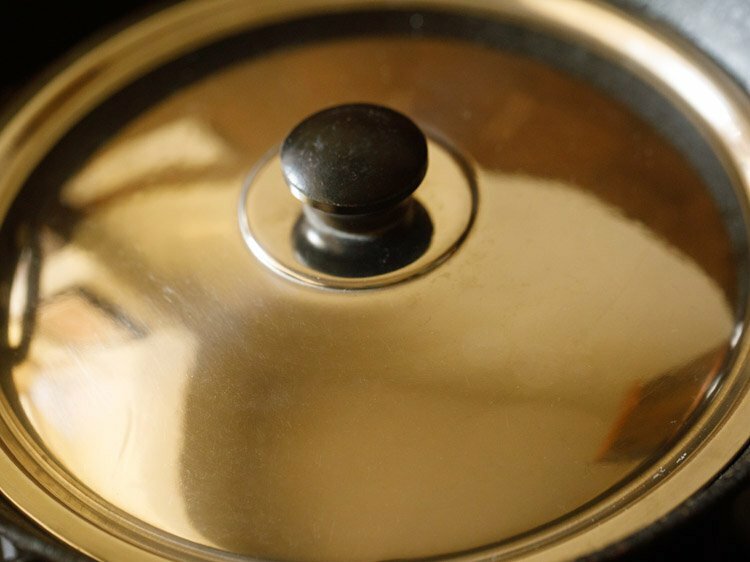 if you see oil in the kadai or pan, then add 1 to 1.5 tablespoons oil. remove dibba rotti from the pan. place on a chopping board. 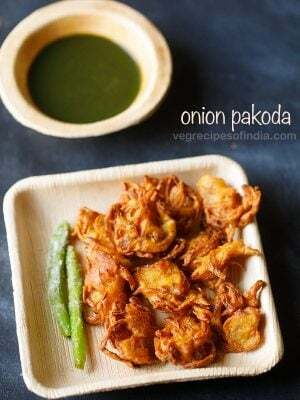 slice in wedges or squares and serve with onion chutney or ginger chutney or coconut chutney. 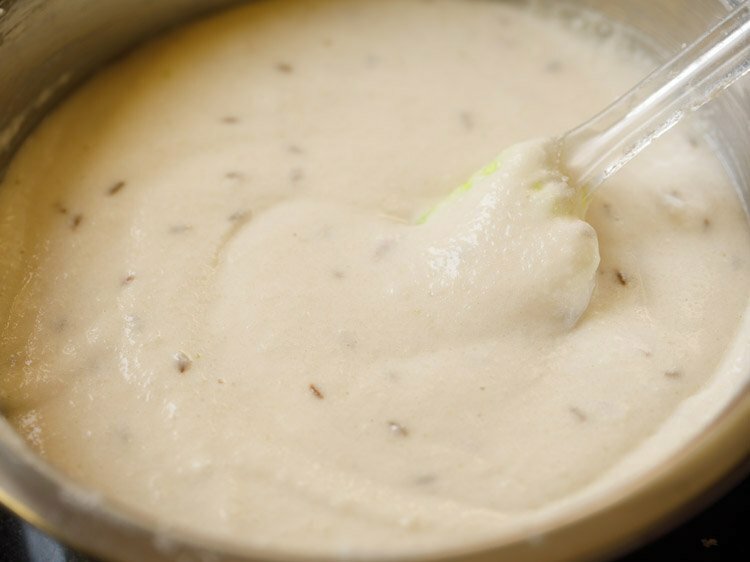 you can add curry leaves, crushed black pepper, asafoetida, onions and coriander leaves to the batter. traditionally made with cumin seeds only. 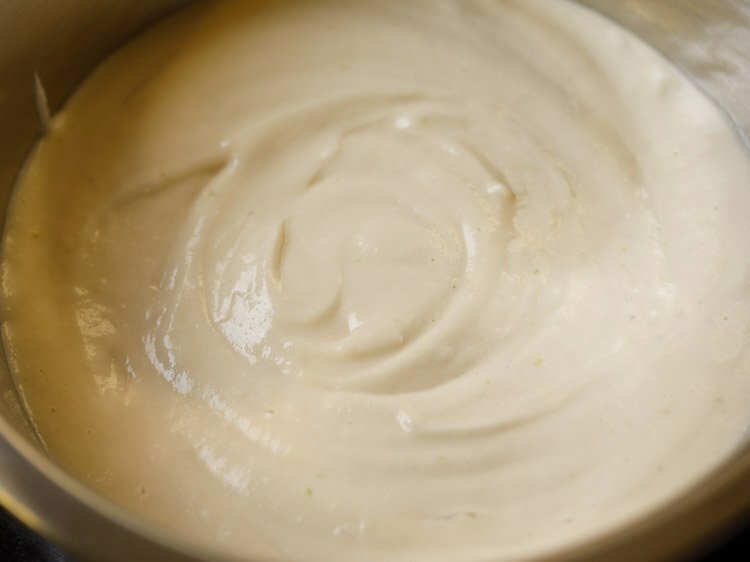 traditionally batter is not fermented. use directly or keep for 2 to 3 hours. do not ferment. if possible use peanut oil for good taste. batter consistency is thick like idli batter. 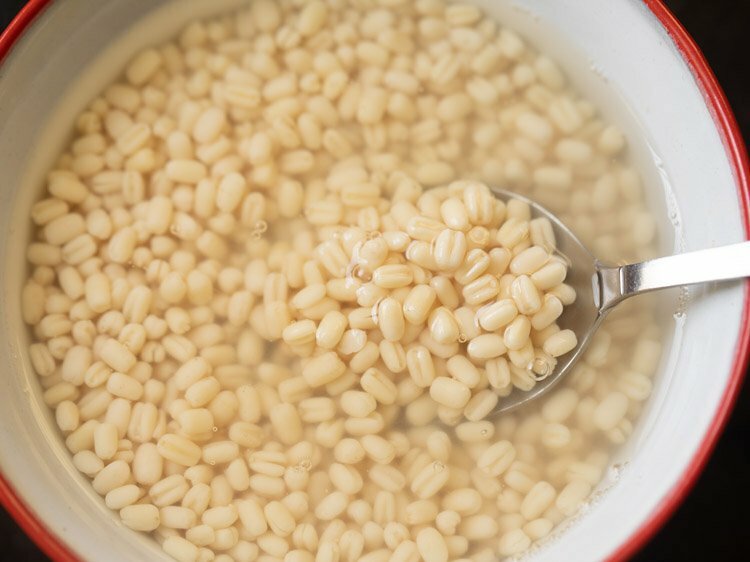 1. rinse ½ cup (125 grams) urad dal a couple of times in water. drain all the water and then soak urad dal in a bowl with 1 cup water for 3 to 4 hours. 2. take ¾ cup rice rava or idli rava (155 grams) in a large bowl. we will first rinse the rava. add water till it floats a few centimetres on top of the rava layer. gently mix the rava with water. let this mixture rest for some seconds. gently discard the water from the top. do this method once or twice. then add 1.5 cups water for soaking rice rava for 3 to 4 hours. 3. later drain all the water from urad dal and add in a wet-grinder jar. 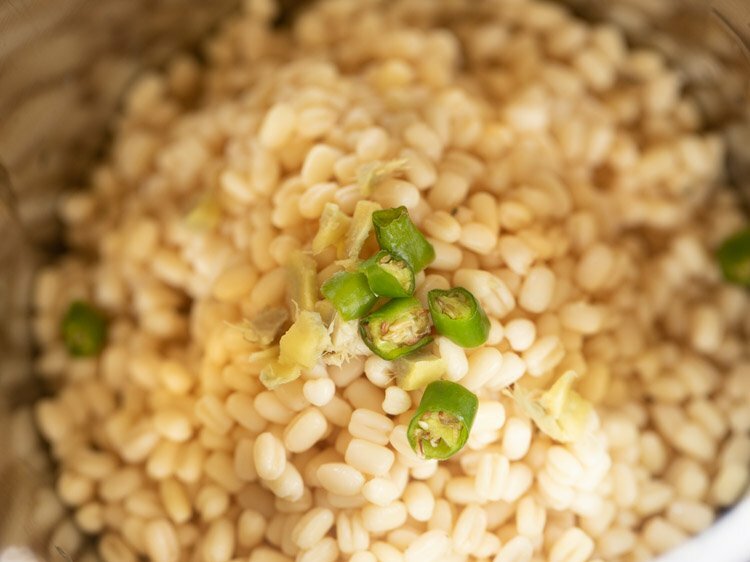 4. add ½ teaspoon chopped ginger and 1 green chilli (chopped). 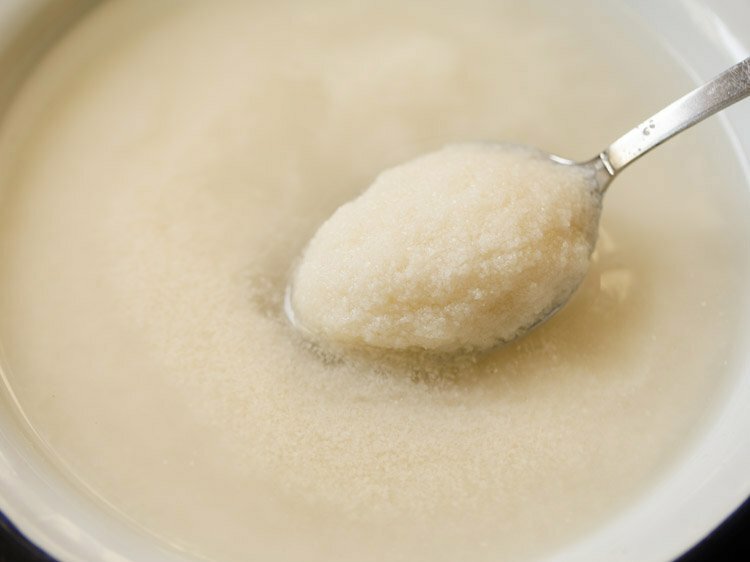 5. add ½ cup water in parts and grind to a smooth fluffy batter. i added ½ cup water for grinding urad dal but depending on the quality of urad dal, you will need less or more water. 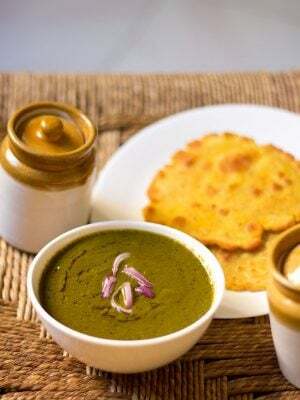 6. take the entire urad dal batter in a large bowl or pan. keep aside. 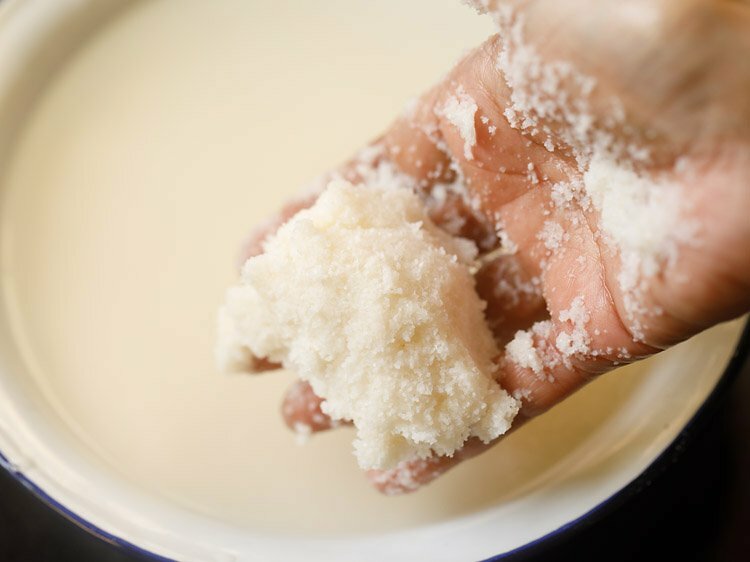 7. take some portion of the rice rava mixture in your palms. press tightly and squeeze all the water from the idli rava. let the water get squeezed in the same bowl. do make sure that you squeeze the rice rava or idli rava very well. 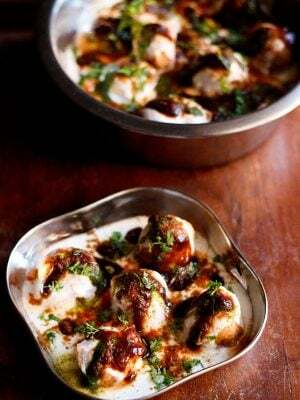 8. add this squeezed portion of idli rava in the urad dal batter. 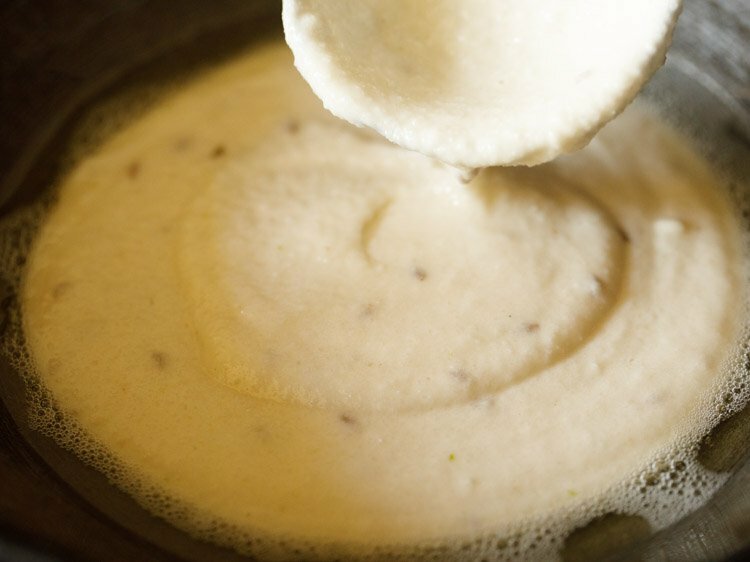 repeat the above step and this way add the entire squeezed idli rava to the urad dal batter. 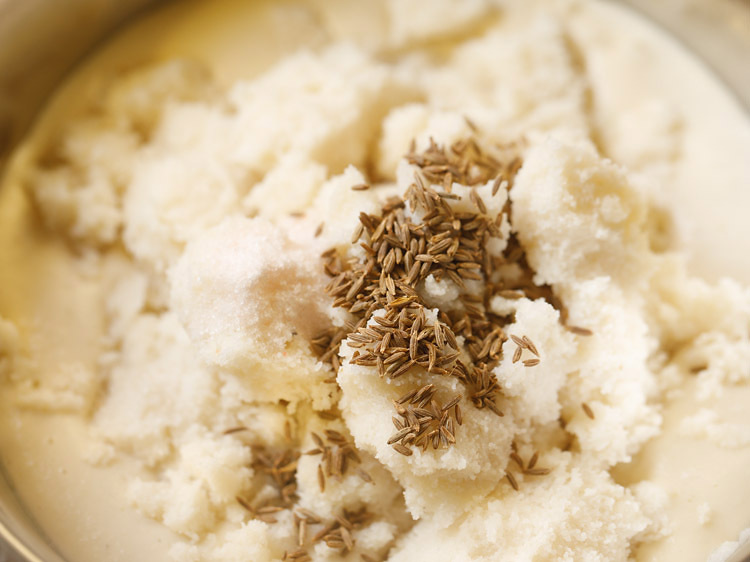 9. add 1 teaspoon cumin seeds and ½ teaspoon salt or add as required. 11. the batter consistency is like that of idli batter. in case the batter looks thin, then add some more rice rava which has been soaked in water and later squeezed of all the water. 12. take a heavy and thick bottomed kadai or frying pan. add 2 tablespoons peanut oil in the kadai. then spread the oil on the sides of kadai by tilting the kadai or with a spoon. let the oil become hot, but not sizzling hot. do use a heavy iron kadai or a heavy pan with a solid base or else the dibba rotti can get burnt. peanut oil gives a good taste but you can use any other neutral flavored oil. 13. once the oil becomes hot, reduce the flame to its lowest. add 3 large ladles of the dibba rotti batter. 14. gently spread and even out the batter from the top with back of a spoon. 15. cover the layer of dibba rotti. cook on a low flame. 16. cook till the base of the dibba rotti is crisp and golden. you can make this out by checking the edges from top. the edges will have a golden color. it takes approx 20 to 25 minutes for the rotti to get cooked completely. though timing will vary with the intensity of flame, size, thickness & heaviness of the kadai or pan. 17. then turn over the half-cooked dibba rotti gently with a spatula. in case the base has not become golden & crispy, then continue to cover and cook till it becomes golden. 18. now cook the second side. drizzle 1 to 2 teaspoons peanut oil on the sides. while cooking the second side, do not cover and cook. 19. cook till the second side is cooked properly and you see some golden spots. to check you can insert a toothpick or a fork or knife and they should not have any sticky or uncooked batter on them. similar way make dibba rotti from the remaining batter. every time you make dibba rotti, add 1 to 2 tablespoons oil. if you see oil in the kadai or pan, then add 1 to 1.5 tablespoons oil. 20. remove dibba rotti from a pan. place on a chopping board. 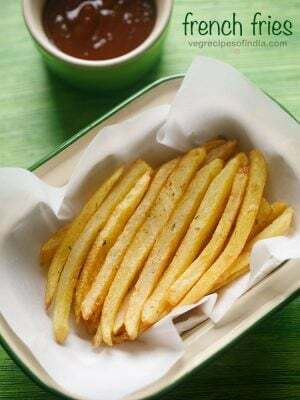 slice in wedges or squares and serve dibba rotti with onion chutney or ginger chutney or tomato chutney or coconut chutney. Dasanna, thanks for your response to my comment. After I posted my comment, I called my niece who lives in Rajahmundry (East Godavari District, AP) and she told me that the coarse rice rawa (or Ravva) for making dibba rotti is available in grocery stores there. I am not sure how popular is this rotti in Hyderabad but it is very popular in coastal Andhra Pradesh. Once again the tastes and the food choices of the current generations is drastically changing. So, most of the younger generations may not even bother to prepare this or even know about this item. thank you rom for sharing this information. next time whenever i visit the coastal areas of AP, i will check for the ground rice. yes i agree that the food habits of younger generation is way different than ours. lack of time is another reason why food which has an extensive preparation and is time-consuming is not prepared. 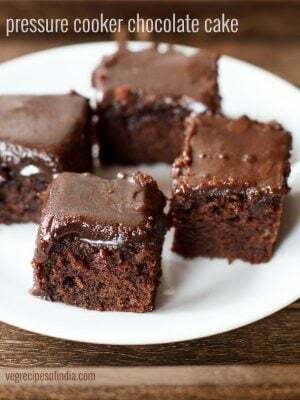 Your recipes are very well described and easy to follow.Thank you. thank you rom for sharing your memories. felt nice reading your comment. cowpeas is a good addition. regarding the rice rawa, not sure if the shops still sell them. we lived in hyderabad for some time but i never saw any shop selling this rice rawa. 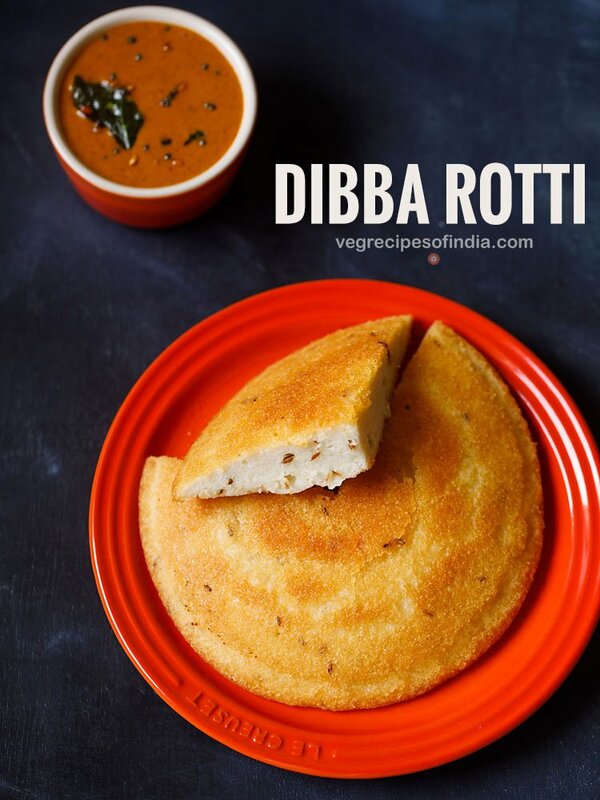 i need to cook dibba rotti in sesame oil. i am sure it will give a different taste. thanks again and happy cooking.